Daron has been involved in the investment industry for over 29 years. 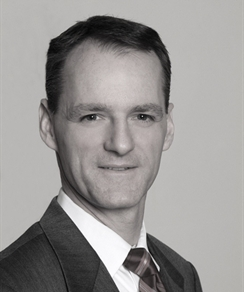 He joined Canada Trust in 1990 and move to TD Bank through the merger of TD and CT in 2001. Daron earned his Bachelor of Commerce Degree in Finance in 1989 and completed the Chartered Financial Analyst Program in 1999. He maintains a CFA designation as well as being registered as a Portfolio Manager with the Ontario Securities Commission. As a Portfolio Manager with TD Wealth, Daron provides a high level of personalized service to his clients and works with a talented group of professionals with complete access to the expertise and resources of TD Wealth. From investment management to estate planning, credit and insurance needs, he creates integrated and comprehensive plans for his clients. This allows Daron to address his client's evolving needs from the accumulation of wealth to preservation and transitioning of their wealth through every stage of their life. Daron currently sits on the Investment Committee for a local Community Foundation and is also involved with other not for profit organizations in the GTA.